Most died at the very start of their young lives, tiny victims taken in a way not fit for anyone regardless of age. Others found their life's work in sheltering these little ones, teaching them, caring for them, treating them as their own. After the gunfire ended Friday at Sandy Hook Elementary School, the trail of loss was tragic: 20 children and six women at the school, the gunman's mother at home, and the gunman himself. Here is a full list of the 26 victims who were killed in the school. Charlotte Bacon loved the color pink. And loved animals too. She was always kind to all creatures and wanted to be veterinarian since she was two, her family recalled. Her parents, JoAnn and Joel Bacon, said the "family will forever remember her beautiful smile, her energy for life, and the unique way she expressed her individuality usually with the color pink." She enjoyed playing with her brother, Guy, and practicing Tae Kwon Do weekly with her dad. Her family recalled how much the green-eyed and pink-clad 6-year-old relished kicking and throwing punches while studying the martial arts. "Charlotte was an extraordinarily gifted six year old who filled her family each day with joy and love," her family said in a statement. "Charlotte has left a place in her entire extended family’s hearts that will never be replaced." Her funeral was Wednesday, Dec. 19. He was the youngest of three children and in a statement to the media, his family said Daniel earned his missing two front teeth and ripped jeans. "Words really cannot express what a special boy Daniel was. Such a light. Always smiling, unfailingly polite, incredibly affectionate, fair and so thoughtful towards others, imaginative in play, both intelligent and articulate in conversation: in all, a constant source of laughter and joy,'' the family said. His father, Mark is a local musician. The New Haven Register reported that Mark was scheduled to play a show at a restaurant in Danbury on Friday, a show that was later cancelled. On the biography on his professional website, Mark Barden lists spending time with his family as his favorite thing to do. Daniel dreamed of becoming a New York City firefighter like his uncle and cousin. Several hundred FDNY firefighters traveled to his funeral in Newtown Wednesday to honor that dream. His funeral was Wednesday, Dec. 19. Days before the Connecticut shooting rampage, the boyfriend of Rachel D'Avino had asked her parents for permission to marry her. D'Avino was a behavioral therapist who had only recently started working at the school where she was killed, according to Lissa Lovetere Stone, a friend who is handling her funeral planned for Friday. D'Avino's boyfriend, Anthony Cerritelli, planned to ask her to marry him on Christmas Eve, Lovetere Stone said. Lovetere Stone said she met D'Avino in 2005 when D'Avino was assigned to her son, who has autism, in their town of Bethlehem. D'Avino, 29, was so dedicated she'd make home visits and constantly offered guidance on handling situations such as helping her son deal with loud music at a wedding. "Her job didn't end when the school bell rang at 3 o'clock,'' Lovetere Stone said. Images of Olivia Rose Engel show a happy child, one with a great sense of humor, as her family said in a statement. There she is, visiting with Santa Claus, or feasting on a slice of birthday cake. Or swinging a pink baseball bat, posing on a boat, or making a silly face. Olivia loved school, did very well in math and reading, and was "insightful for her age," said the statement released by her uncle, John Engel. She was a child who "lit up a room and the people around her." Creative with drawing and designing, she was also a tennis and soccer player and took art classes, swimming, and dance lessons in ballet and hip hop. A Daisy Girl Scout, she enjoyed musical theater. "She was a great big sister and was always very patient with her 3 year old brother, Brayden," her family said, recalling that her favorite colors were purple and pink. Olivia was learning the rosary and always led grace before the family dinner. "She was a grateful child who was always appreciative and never greedy," the family said. Her father said she was a 6-year-old who had a lot to look forward to. Dan Merton, a longtime friend of the girl's family, recalled that she loved attention, had perfect manners and was a teacher's pet. Josephine Gay had turned 7 just three days before the shooting. On Monday, purple balloons — her favorite color — sprouted from the family mailbox and those of all her neighbors. In the back of the yellow house on a quiet cul-de-sac sat a jungle gym. "'Joey' is a beautiful little girl, may she never be forgotten and live forever in our hearts," wrote Polly Larsen, of Sunnyvale, Calif., on Facebook. She said she was close friends with the cousin of Josephine's mother. A person who answered the phone at Mother of God Catholic Church in Covington, Ky., said Josephine was the great-niece of the pastor, the Rev. Raymond Hartman. She viewed her school as a model, telling The Newtown Bee in 2010 that "I don't think you could find a more positive place to bring students to every day." She had worked to make Sandy Hook a place of safety, too, and in October, 47-year-old Hochsprung shared a picture of the school's evacuation drill with the message "Safety first." When the unthinkable came, she was ready to defend. Officials said she died while lunging at the gunman in an attempt to overtake him. The Hockley family moved to Sandy Hook two years ago from England, in love with the sense of community and the elementary school that their boys, Dylan and Jake, would attend. Dylan's mother, Nicole, is American, and his father, Ian, is British. They moved into a house on the same street as the mother of the shooter, Adam Lanza. In a statement, the family said their youngest boy had thrived at Sandy Hook. "We do not and shall never regret this choice," the Hockleys said. "Our boys have flourished here, and our family's happiness has been limitless." Dylan had a beaming smile. He played tag every morning at the bus stop with neighbors, bounced on the trampoline and played computer games. He loved purple, chocolate and seeing the moon. He was learning to read and was proud to show off his new skills to his parents. Jake was his best friend and role model. "We love you Mister D," the Hockleys wrote in their statement. Dylan also adored his teacher's aide, Anne Marie Murphy, and would point to her picture on the family fridge every day. They took great comfort, they said, in knowing that when Dylan died, he was wrapped in Murphy's arms. She also died. Madeleine Hsu was shy and quiet — but she would light up around dogs. Karen Dryer, who lived on the same street as the Hsu family, would see Madeleine's mom waiting for her at the bus stop at 3:15 every afternoon. Dryer would wait too, for her son Logan, who is in kindergarten. Dryer usually brought the family's golden retriever with her. "She would come off the bus and her face would light up when she saw the dog," Dryer said. Her mom would give her a big squeeze, and Madeleine would hug her little sister. "She was just an absolute doll," Dryer said. "She seemed very shy, but she was just so sweet." Dr. Matthew Velsmid was at Madeleine's house Saturday, tending to her stricken family. He said the family did not want to comment. Velsmid said that after hearing of the shooting, he went to the triage area to provide medical assistance but there were no injuries to treat. "We were waiting for casualties to come out, and there was nothing. There was no need, unfortunately," he said. "This is the darkest thing I've ever walked into, by far." Velsmid's daughter, who attends another school, lost three of her friends. A family friend turned reporters away from the house, but Catherine's parents released a statement expressing gratitude to emergency responders and for the support of the community. "We are greatly saddened by the loss of our beautiful daughter, Catherine Violet and our thoughts and prayers are with the other families who have been affected by this tragedy," Jennifer and Matthew Hubbard said. "We ask that you continue to pray for us and the other families who have experienced loss in this tragedy." Chase Kowalski was always outside, playing in the backyard, riding his bicycle. Just last week, he was visiting neighbor Kevin Grimes, telling him about completing _ and winning _ his first mini-triathlon. "You couldn't think of a better child,'' Grimes said. She once was known simply for the game nights she hosted and the holiday decorations she put up at her house. Now Nancy Lanza is known as her son's first victim. Authorities say her 20-year-old son Adam gunned her down before killing 26 others at Sandy Hook. The two shared a home in a well-to-do Newtown neighborhood, but details were slow to emerge of who she was and what might have led her son to carry out such horror. Kingston, N.H., Police Chief Donald Briggs Jr. said Nancy Lanza once lived in the community and was a kind, considerate and loving person. The former stockbroker at John Hancock in Boston was well-respected, Briggs said. 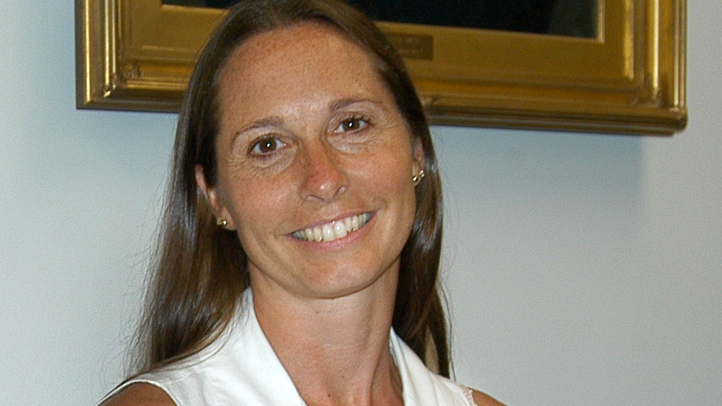 Court records show Lanza and her ex-husband, Peter Lanza, filed for divorce in 2008. He lives in Stamford and is a tax director at General Electric. A neighbor, Rhonda Cullens, said she knew Nancy Lanza from get-togethers she had hosted to play Bunco, a dice game. She said her neighbor had enjoyed gardening. "She was a very nice lady," Cullens said. "She was just like all the rest of us in the neighborhood, just a regular person." Six-year-old Jesse Lewis had hot chocolate with his favorite breakfast sandwich — sausage, egg and cheese — at the neighborhood deli before going to school Friday morning. Jesse and his parents were regulars at the Misty Vale Deli in Sandy Hook, Conn., owner Angel Salazar told The Wall Street Journal. "He was always friendly; he always liked to talk," Salazar said. Jesse's family has a collection of animals he enjoyed playing with, and he was learning to ride horseback. Family friend Barbara McSperrin told the Journal that Jesse was "a typical 6-year-old little boy, full of life." Elba Marquez had just visited the new home over Thanksgiving and finds herself perplexed by what happened. "What happened does not match up with the place where they live." A video spreading across the Internet shows a confident Ana hitting every note as she sings "Come, Thou Almighty King." She flashes a big grin and waves to the camera when she's done. Jorge Marquez confirmed the girl's father is saxophonist Jimmy Greene, who wrote on Facebook that he was trying to "work through this nightmare." "As much as she's needed here and missed by her mother, brother and me, Ana beat us all to paradise," he wrote. "I love you sweetie girl." James Mattioli especially loved recess and math, and his family described him as a "numbers guy'' who came up with insights beyond his years to explain the relationship between numbers. He particularly loved the concept of googolplex, which a friend taught him. They wrote in his obituary that 6-year-old James, fondly called 'J,' loved hamburgers with ketchup, his Dad's egg omelets with bacon, and his Mom's french toast. He often asked to stop at Subway and wanted to know how old he needed to be to order a footlong sandwich. His family recalled that he was an early-riser who was always ready to get up and go. He and his older sister were the best of friend. He was a thoughtful and considerate child, recently choosing to forgo a gift for himself and use the money to buy his grandfather a mug for Christmas. With broken hearts, the parents of Grace Audrey McDonnell said Sunday they couldn't believe the outpouring of support they've received since the little girl who was the center of their lives died in the Sandy Hook Elementary School shooting. Lynn and Chris McDonnell called their 7-year-old daughter "the love and light'' of their family in a statement released by the little girl's uncle. The family also shared a photo featuring Grace smiling into the camera, her eyes shining and a pink bow adorning her long blonde hair. 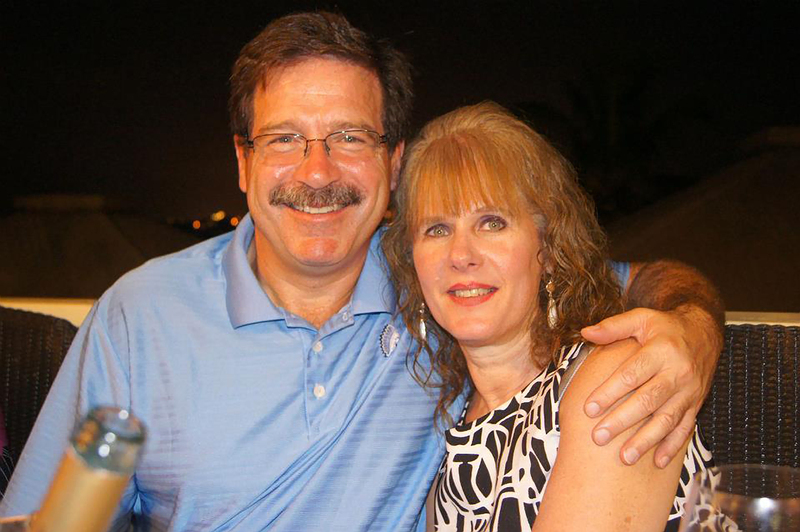 "Words cannot adequately express our sense of loss,'' the McDonnells said. A happy soul. A good mother, wife and daughter. Artistic, fun-loving, witty and hardworking. Remembering their daughter, Anne Marie Murphy, her parents had no shortage of adjectives to offer Newsday. When news of the shooting broke, Hugh and Alice McGowan waited for word of their daughter as hour by hour ticked by. And then it came. Authorities told the couple their daughter was a hero who helped shield some of her students from the rain of bullets. As the grim news arrived, the victim's mother reached for her rosary. "You don't expect your daughter to be murdered," her father told the newspaper. "It happens on TV. It happens elsewhere." Quick to cheer up those in need of a smile, Emilie Parker never missed a chance to draw a picture or make a card. 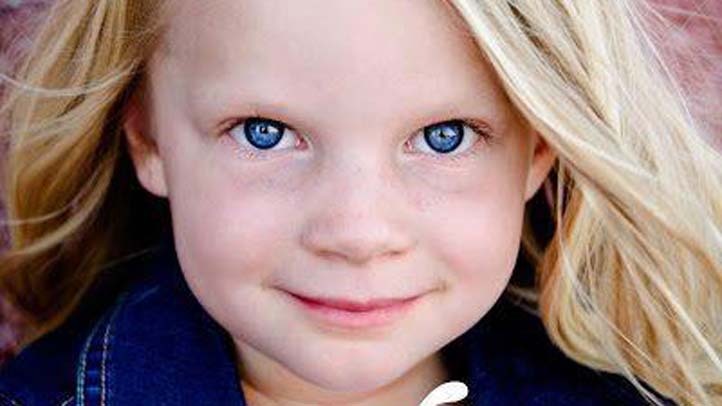 Her father, Robbie Parker, fought back tears as he described the beautiful, blonde, always-smiling girl who loved to try new things, except food. Parker, one of the first parents to publicly talk about his loss, expressed no animosity for the gunman, even as he struggled to explain the death to his other two children, ages 3 and 4. He's sustained by the fact that the world is better for having had Emilie in it. "I'm so blessed to be her dad," he said. Jack Pinto was a huge New York Giants fan. Wide receiver Victor Cruz honored Jack on Sunday on his cleats, writing on them the words "Jack Pinto, My Hero" and "R.I.P. Jack Pinto." "I also spoke to an older brother and he was distraught as well. I told him to stay strong and I was going to do whatever I can to honor him," Cruz said after the Giant's game with the Atlanta Falcons. "He was fighting tears and could barely speak to me." Cruz said he planned to give the gloves he wore during the game to the boy's family, and spend some time with them. "There's no words that can describe the type of feeling that you get when a kid idolizes you so much that unfortunately they want to put him in the casket with your jersey on," he said. "I can't even explain it." Jack's funeral and burial were Monday. Noah was "smart as a whip," gentle but with a rambunctious streak, said his uncle, Alexis Haller of Woodinville, Wash. He was part of a big family. His twin sister, Arielle, assigned to a different classroom, survived the shooting. He called Arielle his best friend and loved her dearly, along with big sisters Danielle and Sophia and big brother Michael. "They were always playing together, they loved to do things together," Haller said. When his mother, a nurse, would tell him she loved him, he would answer, "Not as much as I love you, Mom.'" Haller said Noah loved to read and liked to figure out how things worked mechanically. He was already a very good reader. He loved animals, video games and Nintendo's Mario Brothers characters. For his birthday two weeks ago, he got a new Wii. Noah was looking forward to reading a new "Ninjago" book he'd just bought at a book fair. He was also very excited about going to a birthday party he had been invited to. It was to take place Saturday. "He was just a really lively, smart kid," Haller said. "He would have become a great man, I think. He would have grown up to be a great dad." A funeral was held Monday, followed by burial. "Silly Caroline" Previdi had an infectious grin and a giving heart. Karen Dryer, a neighbor, remembered how Caroline would ride the bus with her son, Logan, when he got scared. She'd sit with him, make sure he felt safe, and play peek-a-boo over the seat to distract him. "My son refers to her as 'Silly Caroline,'" said Dryer, who is still wrestling with how to talk to her son about the shootings. "She's just a girl that was always smiling, always wanting others to smile." "Caroline Phoebe Previdi was a blessing from God and brought joy to everyone she touched," her parents, Jeff and Sandy Previdi, said in a statement. "We know that she is looking down on us from Heaven." Family friend David Sutch, who lives in Brookfield, Mo., described the Previdis as loving and compassionate, always having other children over to the house, willing to befriend anyone. "I can't imagine a family that deserved this less," he said. Her funeral was on Wednesday, Dec. 19. Jessica Rekos loved horses. She spent her time drawing horses, watching movies about them, and even writing stories about horses. For Christmas, she asked Santa to bring her cowgirl boots and a cowgirl hat. Her parents had promised her a horse for her 10th birthday. The firstborn child of the family, the sweet-smiled, blue-eyed Jessica loved to be big sister to her little brothers, Travis and Shane. Her family remembered her as "their rock." "She had an answer for everything, she didn't miss a trick, and she outsmarted us every time," her family said in a statement released through a friend. "We called her our little CEO for the way she carefully thought out and planned everything." Jessica will never realize her dream of owning her very own horse. But she did realize others. After watching "Free Wily" last year, she became fascinated with orca whales. She researched them and dreamed of seeing one with her own eyes. She did see an orca at SeaWorld in October. One last dream fulfilled. "We can not imagine our life without her," her family said. "We are mourning her loss, sharing our beautiful memories we have of her, and trying to help her brother Travis understand why he can't play with his best friend. We are devastated, and our hearts are with the other families who are grieving as we are." The curly-headed little girl known as Avie Richman loved a lot of things. Horses. Harry Potter. The color red. She tried archery after watching the Disney movie ``Brave.'' She told her parents that her dream car was a minivan. To reward her for reading over the summer, they took her to lunch. Avie had moved to Sandy Hook from San Diego about two years ago with her parents, Jeremy Richman and Jennifer Hensel. In a blog called "Avielle's Adventures," Jeremy Richman would tell friends about their family life: trips to the Thanksgiving Day parade in Stamford, Arielle's 6th birthday at the horse stable, a road trip to Iowa. In August, he wrote about the newest milestone for his "little hummingbird," who was about to start first grade. "We can't believe it," he wrote. "Jenn and I are both very nervous and excited." Lauren Rousseau had spent years working as a substitute teacher and doing other jobs. So she was thrilled when she finally realized her goal this fall to become a full-time teacher at Sandy Hook. Her mother, Teresa Rousseau, a copy editor at the Danbury News-Times, released a statement Saturday that said state police told them just after midnight that she was among the victims. "Lauren wanted to be a teacher from before she even went to kindergarten," she said. "We will miss her terribly and will take comfort knowing that she had achieved that dream." Her mother said she was thrilled to get the job. "It was the best year of her life," she told the paper. Rousseau has been called gentle, spirited and active. She had planned to see "The Hobbit" with her boyfriend Friday and had baked cupcakes for a party they were to attend afterward. She was born in Danbury, attended Danbury High, college at the University of Connecticut and graduate school at the University of Bridgeport. She was a lover of music, dance and theater. When the shots rang out, Mary Sherlach threw herself into the danger. She beams in snapshots. Her enthusiasm and cheer was evident. She was doing, those who knew her say, what she loved. And now, Victoria Soto is being called a hero. Though details of the 27-year-old teacher's death remained fuzzy, her name has been invoked again and again as a portrait of selflessness and humanity among unfathomable evil. Those who knew her said they weren't surprised by reports she shielded her first-graders from danger. "She put those children first. That's all she ever talked about," said a friend, Andrea Crowell. "She wanted to do her best for them, to teach them something new every day." Photos of Soto show her always with a wide smile, in pictures of her at her college graduation and in mundane daily life. She looks so young, barely an adult herself. Her goal was simply to be a teacher. "You have a teacher who cared more about her students than herself," said Mayor John Harkins of Stratford, the town Soto hailed from and where more than 300 people gathered for a memorial service Saturday night. "That speaks volumes to her character, and her commitment and dedication." Music surrounded Benjamin Wheeler as he grew up in a household where both his mother and father were performers. They left behind stage careers in New York City when they moved to Newtown with Benjamin and his older brother, Nate. Ben was spirited and energetic. He was taking swim lessons, and at soccer practice, he'd often be running across the field long after it was necessary. A recent accomplishment, his family said, was performing at a piano recital this month — and sitting still long enough to play one piece. Francine, a music educator and singer-songwriter, used to make up songs for Ben when he was a baby. Some eventually found their way onto a CD, she told the local newspaper. Ben's father, David, still writes and performs, according to a profile on the website of the Flagpole Radio Cafe theater. Before school on Friday, Ben had told his mother he wanted to be an architect — but also a paleontologist. "That's what Nate is going to be," he told his mom. "And I want to do everything Nate does." Allison liked to garden with her mother and loved spending time outside in the summers, an emotional neighbor, Ana, told the Connecticut Post. Ana's daughter Jeydy, who is a few years older than Allison, remembered the little girl as kind and outgoing. Allison's grandparents' church in Dayton, Ohio, encouraged parishioners to pray for the family. "We are deeply saddened by the tragedy in Newtown, Connecticut on December 12, 2012," the church said on its website. "We are especially saddened as we have discovered this has hit our parish community directly." On Friday, after news of the shooting broke, one of Allison's aunts posted on Facebook that her nieces attended Sandy Hook school, and asked for prayer. "One is fine and the other is missing at this time," she wrote. "We are remaining positive at this time and counting on the power of prayer." Later, after news of Allison's death, she asked for prayer again.